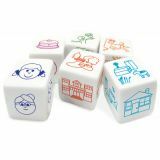 Trivia, drawing, word and number play, physical challenges, and a TON of dice! Complete the challenge to earn cards. First player to earn eight cards wins in this hilarious game! 2-6 players. 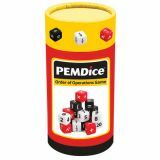 Your students need to understand the order or operations (PEMDAS) – PEMDice is a great game to help them practice. Roll the PEMDice and create equations—just be sure they're correct and follow the mathematical order or operations! Earn points by creating equations that use the most dice. signs. 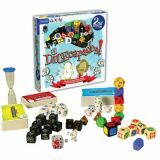 Game includes 30 unique color-coded PEMDice, activity guide with a variety of game options and shaker.